I went on a one week hiking vacation in Utah and I freaking loved it! Until not so long ago if anybody had told me that I would even consider to go hiking for a whole week I would have rolled my eyes and told them to get a grip. If they had then told me then, that Utah would become one of my favorite destinations in the USA I might have even started to question their sanity. Utah of all states! The Mormone State! I mean no disrespect to the Mormones but they have very very strict laws on alcohol there… You get my point! But it only took me one morning in Zion National Park two years ago to get me hooked. And finally this year we spent a whole week exploring the various parks in the Beehive State. Who did see that coming? To be honest I was fully prepared to be fed up with that part of the trip like 5 minutes in but to my surprise there are plenty of trails and places I really really enjoyed. I still don’t like hiking though. While there are a lot of people in the park it seems people scatter. The parking lots for all the trailheads are not very big so there is always a limited amout of people in each place. There are *surprise* a lot of natural Arches you can see throughout the park and some are accessible by very very short hikes. 0,5 miles short. So you can see a lot without having to walk too much. The trails are usually very accessible even for stollers. Compared to a lot of the other National Parks I have been to, Arches is pretty small. You can see a lot in only one or two days. Even if you decided to stay in the car and not walk at all you would still be able to see a lot of the famous landmarks. The park is the prettiest in the late afternoon sun. You can also watch pectacular sunsets! Double Arch – again viewable from the parking lot but it’s worth going there by a 0,5 miles roundtrip hike. You can climb in the arch but you shouldn’t be scared of heights. Also the way up is much easier than the way down. Believe me! Landscarpe Arch – a bit longer with 1,6 miles roundtrip but more like a walk in the park on mostly flat surface. Little elevation gain but very pretty views! There were many! I freaking loved that park and we have been there three times over the course of three days at different times. But if I had to choose I’d pick when we went stargazing! But this deserves a whole post on its own. So stay tuned for that. I like to refer to Canyonlands as the underrated but much cooler and prettier sister of Grand Canyon for the non-hiker. Canyonlands was great in all aspects I didn’t like about Grand Canyon! No crowds, no need to take a bus – just a very nice park with tons of tiny parking lots at every trailhead that naturally decreases the number of people on every trail. The views were spectacular. 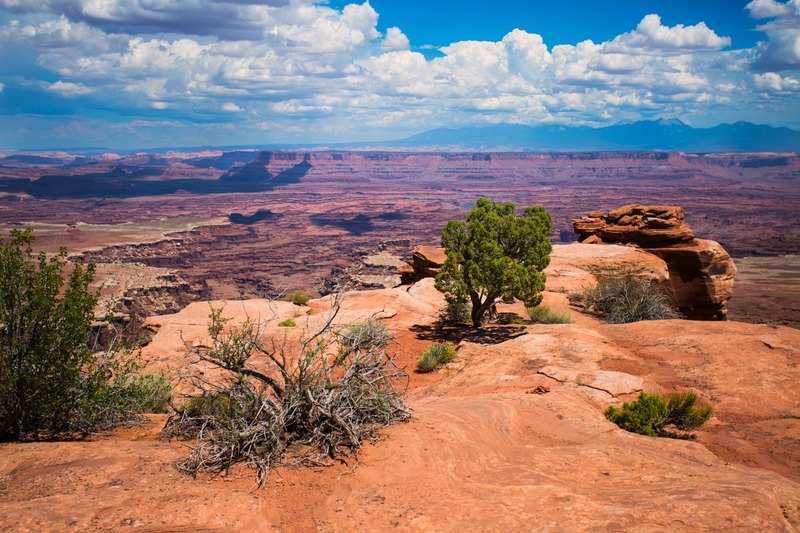 Canyonlands consists of three sperate parts but we only went to the ‘Island in the Sky’. It deserves that name! White Rim Overlook – a bit longer with 1.8 miles roundtrip (no elevation gain) but it took us only 20 min each way to the end (picture above) and we were completely alone there. The parking lot holds not more than 8 spots and is also the entrance point for another hike. It was spectacular. Being all alone at the White Rim Overlook. It was like you were on a different planet. There was a big rock curved like a bench with enough shadow to sit and have lunch there. I am a sucker for lunch with a good view! In full disclosure I wasn’t the biggest fan of Monument Valley. But it is definitely THE outdoor activity for people who don’t like outlook activities. Because Monument Valley is only accessible by car. There are no trails. Just one long road with various lookouts and little observation points. In total the drive takes about 2,5-3 h depending on how much time you spend outside. 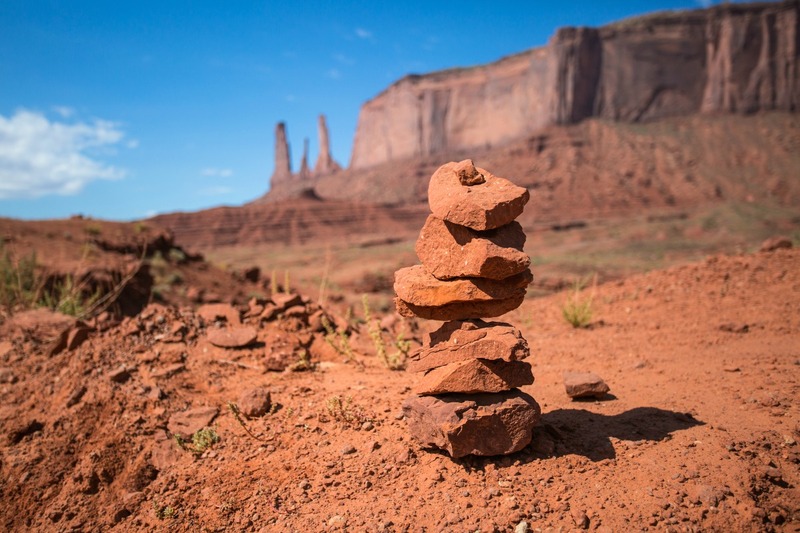 It’s Navajo territory and they offer horseback riding and guided jeep tours. So techically you don’t even have to drive yourself! The road is not very well maintained so the ride is pretty bumpy. You will need a off-roadish car or book a spot on a guide tour. 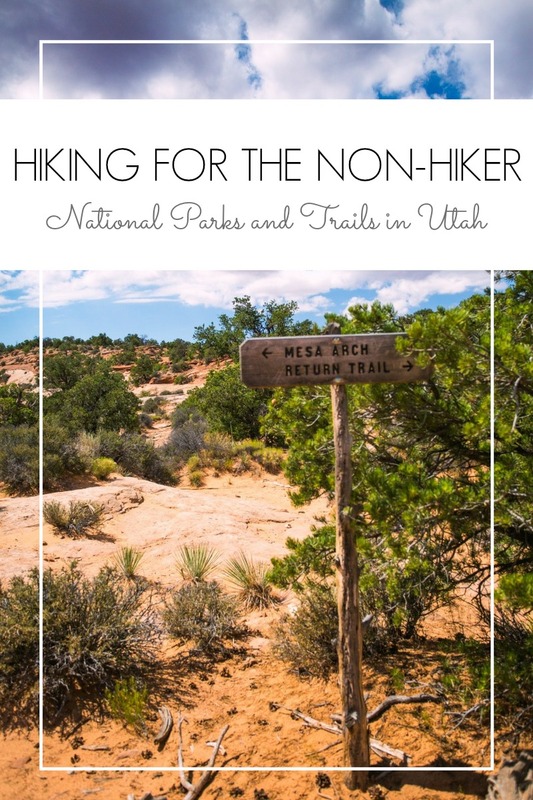 Pretty much the whole experience is the ultimate non-hiker’s trail. But there are various viewpoints and overlooks where you can see the monuments and take pretty pictures. We actually had a really good time (until I was fed up by the bumpy road) because you don’t need much phantasy to figure out that A LOT of the rocks resemble different things. I saw an elephant, a rhino and many human body parts. So before we even entered the valley I had already renamed it and I couldn’t stop myself from pointing out these body parts to Stefan while he was driving. The views in Bryce Canyon are spectacular and breathtaking. When you look around there isn’t a single spot anywhere that looks boring. Throughout the park there are a lot of different overlooks with close to no walking to the rim. 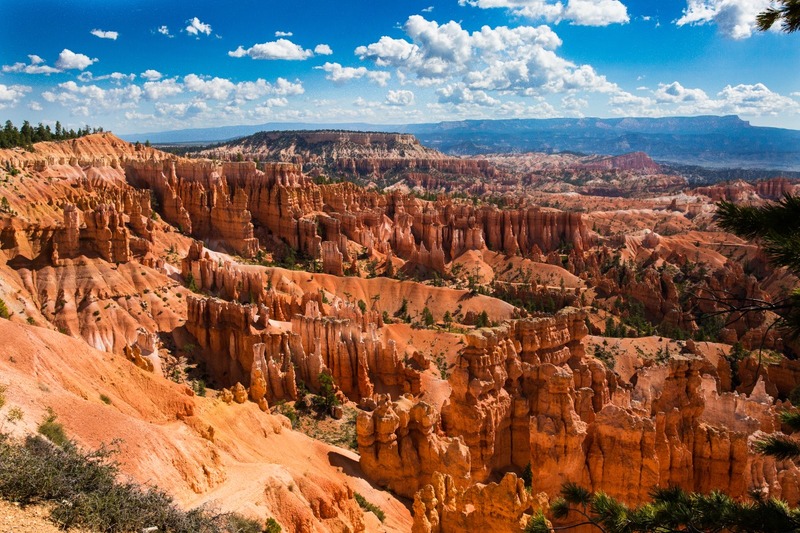 You can see a lot without hiking at all at Bryce Canyon. The canyon changes the farther you drive in the park. My favorite spots were definitely more in the beginning. There is little to no shadow in Bryce and the sun is strong. Also it can get crowded in the parking lots but there’s a bus you can use as an alternative. 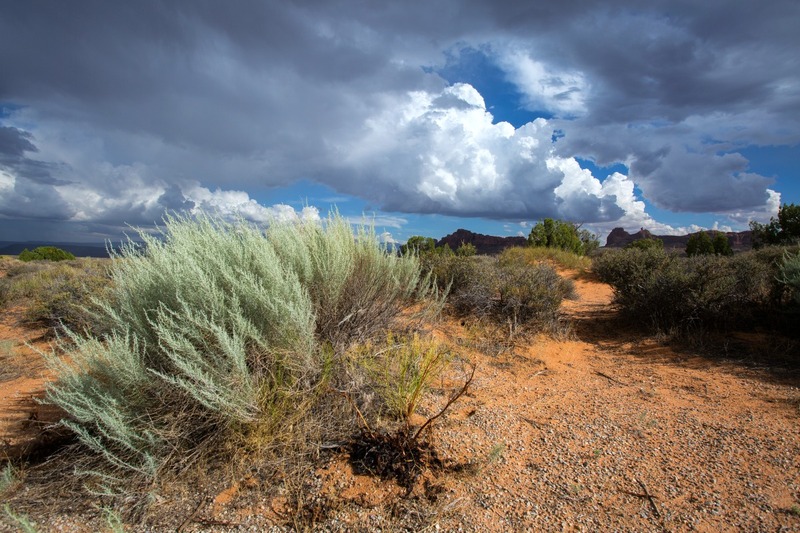 The Rim Trail – you get what you expect, a trail at the Canyon’s rim. This trail is easy to tailor (from 0 to 11 miles) as you basically go from parking lot to parking lot. You shouldn’t have a problem with heights though. The view from the picture above and being able to capture it. It has been the third year in a row that we visited Zion National Park. 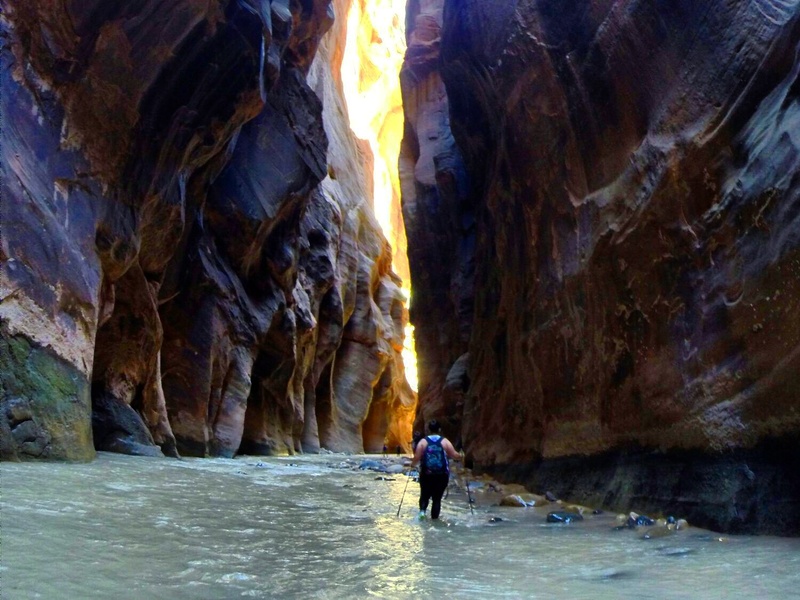 It has also been the second year that we hiked ‘The Narrows’. It’s pretty much the only trail I am willing to make an exception for when it comes to my no long trails poilcy. It’s an adventure! I freaking love Zion! There’s a bus that drives you through the whole park, pointing out famous landmarks and directing you to different trailheads. Most spectacular trails are pretty strenuous but there are some easy ones as well. Though to be honest it isn’t the best park for people who have health conditions that keep them from hiking. But apart from hiking the park offers a ton of activity and I felt like there were kids there everywhere. Many more than in any other park. The Virgin River is pretty shallow at the easily accessible points so having a bath is a nice thing to do when hiking isn’t your thing. The River Walk Trail – it’s a 2 mile round trip that at its end marks the entrance point to ‘The Narrows’. It’s like a walk in the park alongside the river. Hiking the Narrows and getting completely soaked in the Virgin River! I also wore a white, see-through shirt on this day. Not that I didn’t knew I’d get wet or anything… But this experience deserves a whole post on it’s own. In my experience personal recommendation is usually not the best planning tool for the non-hiker. ‘Easy’ and ‘beautiful’ definitely lie in the eye of the beholder. Also anything over three miles NEVER deserves the lable easy in my book! As I am definitely the non-hiker we always check out trails that I am willing to do before we decide to visit a park. Our favorite planning tool is the Pro Trail Site. So if you ever feel the desire to visit a National Park this is the place to head to.